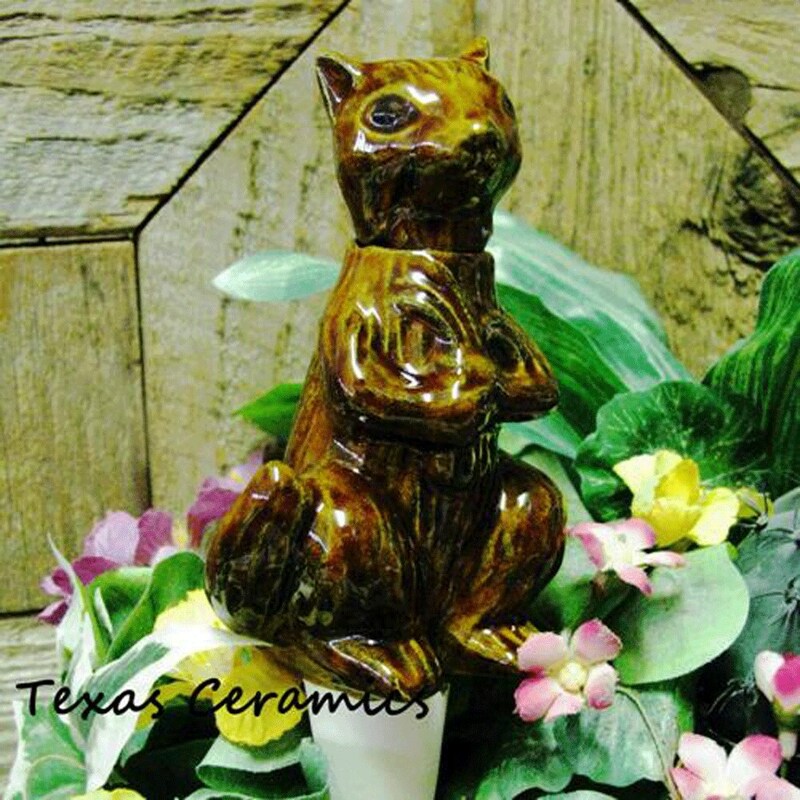 This squirrel Plant Tender or Water Feeder is made of domestic ceramics and glazed in a brown art glaze. 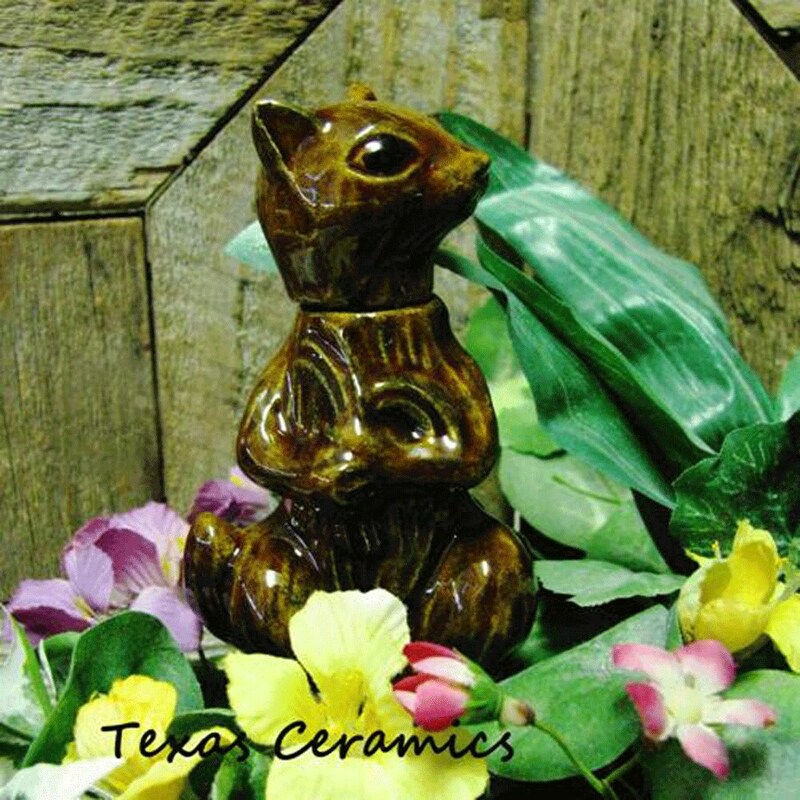 Ideal for indoor or outdoor potted plants, container gardens or flower pots. • Drainage spike that is inserted into the soil is approx. 2 1/2 inches long. Plant tenders are used to maintain the soil moisture of potted plants, it can be used for plants in indoors or outdoors. Water spikes help to avoid over-watering of house plants. 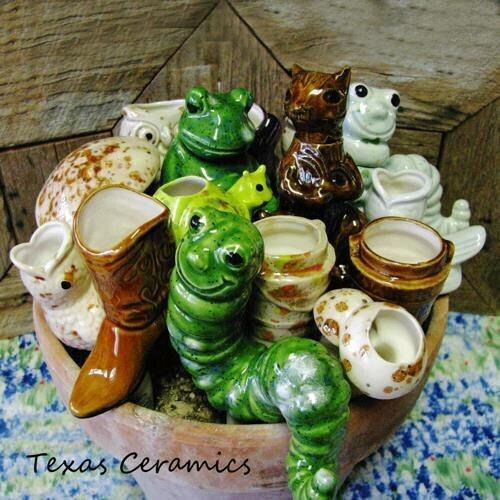 They also provide a little decorative touch to all plants or flower garden containers. 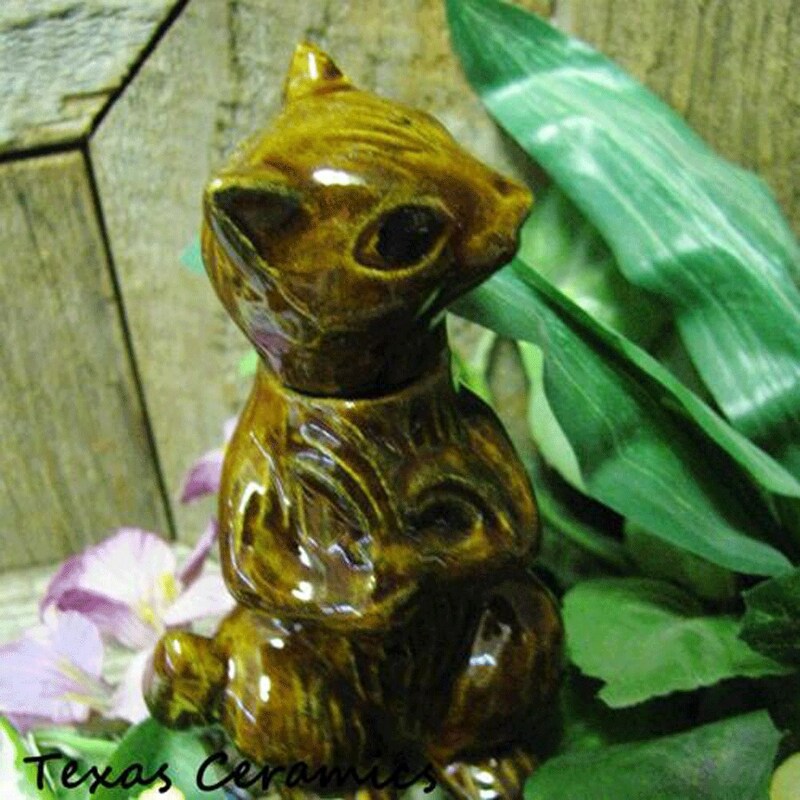 Each one is handmade and has it's own individual characteristics, no two are alike. all three pieces very nice. 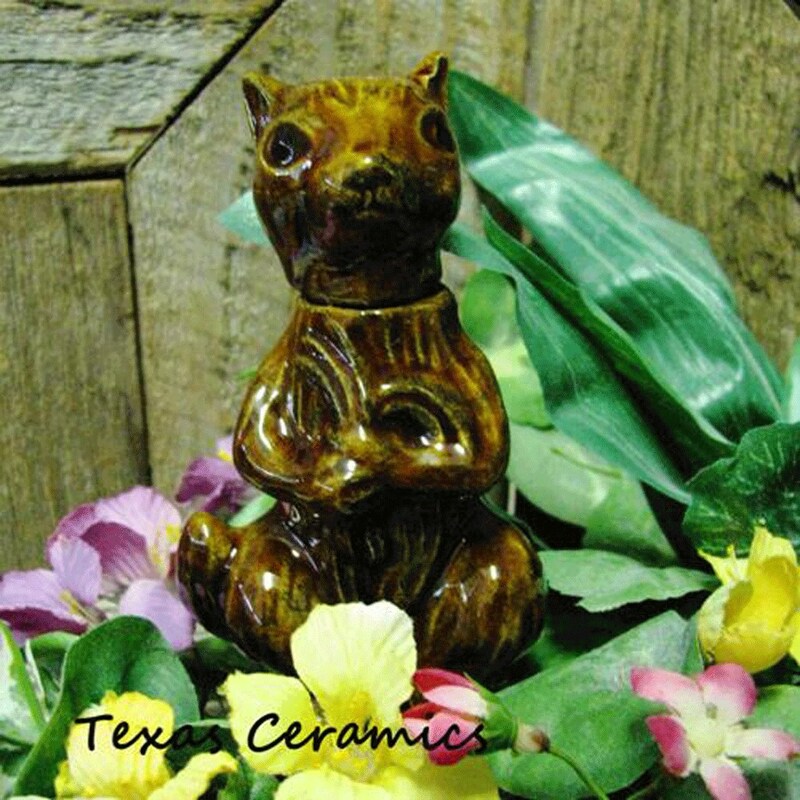 It's a gift for someone who really like squirrels.